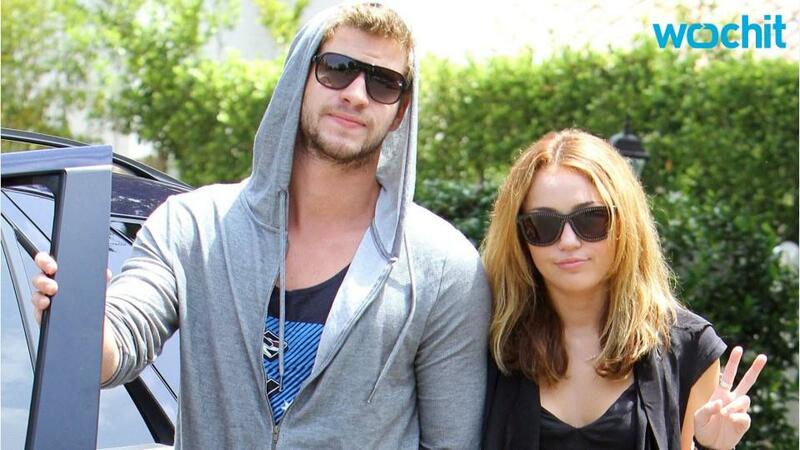 Miley Cyrus and Liam Hemsworth go for the gold! Amid all the Summer Olympic festivities, the couple celebrated the birthday of Samantha Hemsworth, Luke Hemsworth's wife, with a gold-themed party, which included a giant gold horse. Really committing to the theme, Liam, 26, wore a Gold's Gym tank-top and gold shorts. Miley, 23, also went the athletic route, donning a gold medal and a matching basketball jersey. Flaming Lips frontman and Cyrus' tourmate, Wayne Coyne, wore gold horns to the party, but it was Liam's brother that nailed his costume. "@thesamanthahemsworth 's birthday," Luke captioned a photo of his epic outfit. "I think the theme was "Gold"? I even had gold mankini on underneath." Miley seems to fit right in with The Hunger Games star's family. In April, she even got a matching finger tattoo with Chris Hemsworth's wife, Elsa Pataky.